Loving your home, even if it’s not ideal it’s where your season of life is right now. Home is where the heart is and we have loved hard on this home for a long time now! It’s where we decided to live and raise our family, and as with every family there have been the best of times and some to forget. I’ve talked a lot lately about the renovations that we’ve been making, and truth be told we started them with the intent of selling this home. But I would definitely miss this place and miss my hometown of Miami. A place where the sun almost always shines, where we are tropical with lots of humidity, where in the winter I enjoy being outdoors! 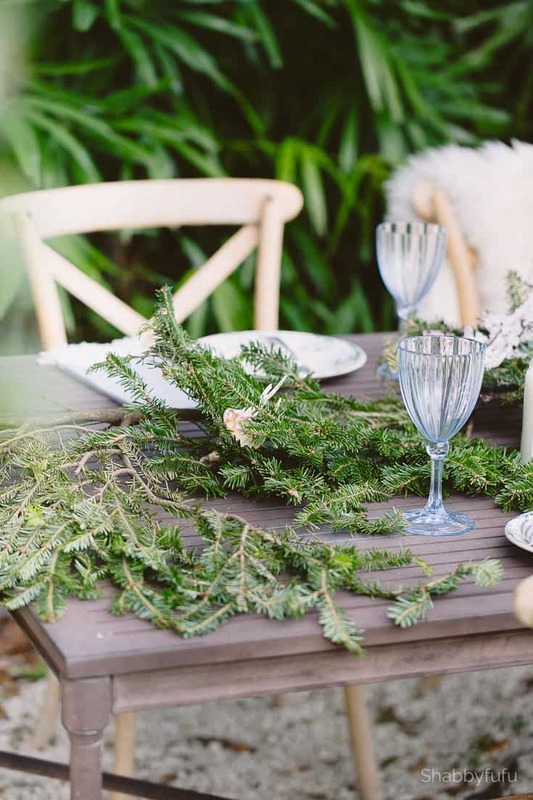 Today I’m sharing another table setting (with tips, as usual) in the garden at the back of our property. My post is sponsored by Homesick Candles and I love the concept of a candle that evokes home. What home means to me is family and memories made here. Right in this same spot there once stood a swing set and play yard for the kids. A hurricane took that down but I still hear the laughter in this space and it’s special to gather here with the family when we are all together. I love sitting out here alone with my coffee in hand too. In this secret garden, under the lady palms and oak trees will be the perfect spot to entertain this winter with some twinkle lights and candles. We have done so much back here as a family, from Easter egg hunts, to birthday parties, Girl Scout meetings, a wedding reception and lots of entertaining. Weekend life is a bit slower for us now with the kids grown and the house is often quiet in this season of empty nesting. Scents bring back good feelings and I have candles burning almost constantly when I’m home. They are a small luxury item that anyone can bring in and afford and make such a difference! 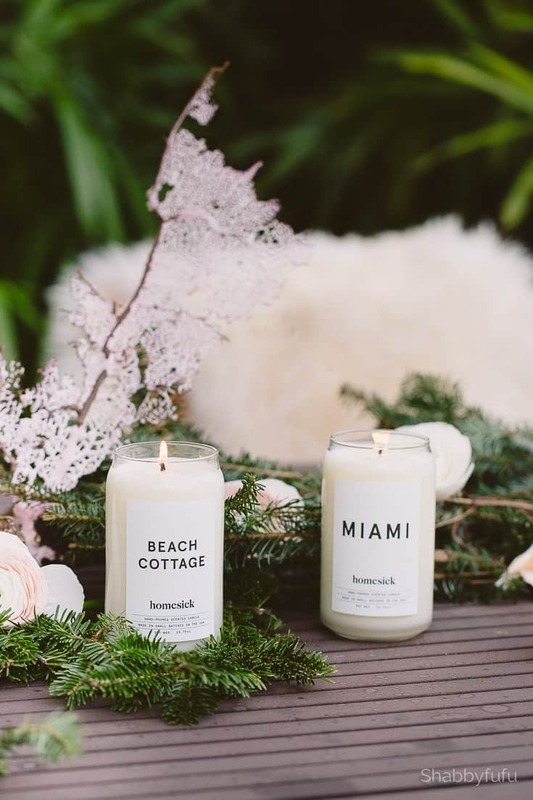 These particular candles conjure up tropical beach vibes and when the weather forces us inside we have that aroma with us. 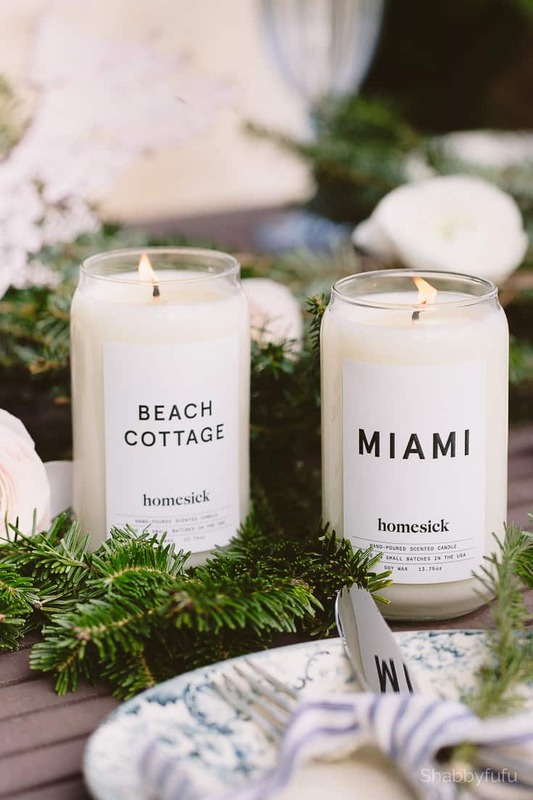 Each candle from Homesick Candles represents a country, state, or city and has a blend of unique scents native to those locations. Personally I love that idea and a couple of these will be winging their way to our girlie in San Francisco who is a bit homesick and misses our family home. I know that this gift that keep on giving will be so appreciated! 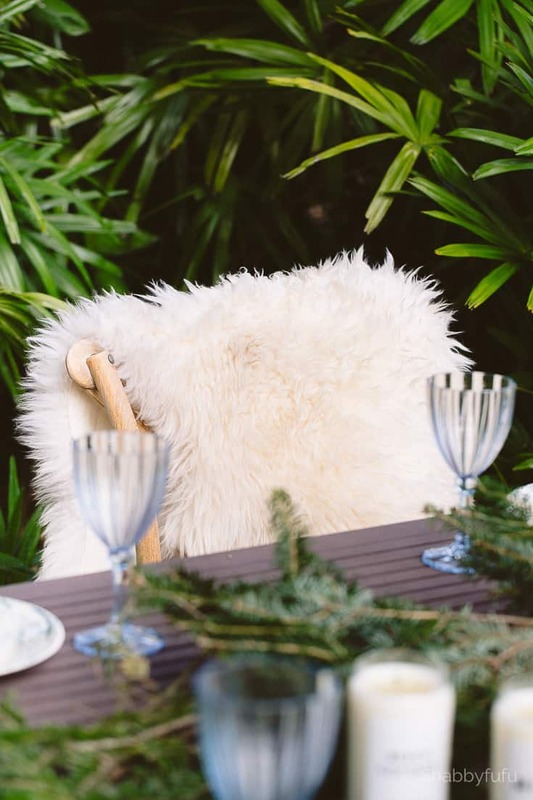 How did I start to set this outdoor holiday table? It’s Christmas time, so I grabbed some fresh cut evergreen from the local tree lot. Generally if you just ask they will let you grab some for free. I trimmed and draped the evergreen branches across the table to form a garland, starting in the center and working out in the opposite direction towards both ends. For a rustic and romantic Miami coastal feel I brought out some items found near our beach home and saved for nostalgia. If we can’t always be at the beach at least we have it here with these objects found. 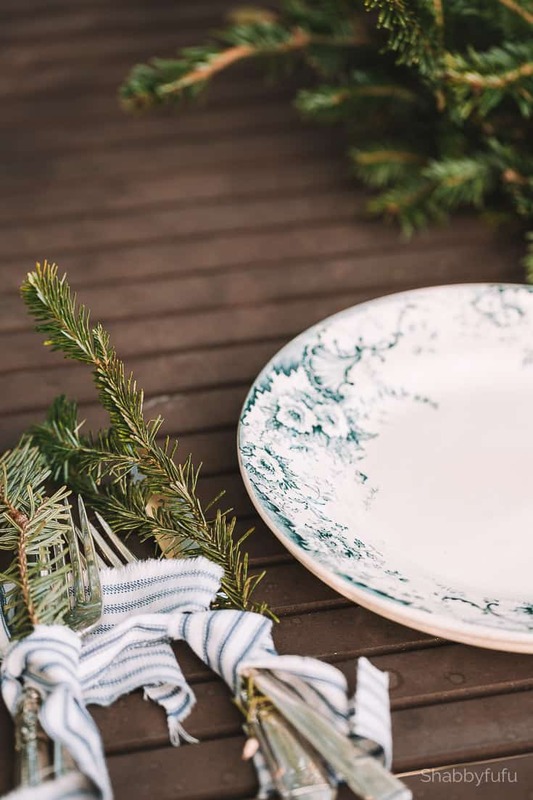 French plates with blue designs, family silver and ticking stripe torn ribbon fragments for a cozy coastal feel. I love to mix and match rustic elements with finer pieces for a unique look. It can get chilly even down here as the winter evening goes on, so warmth and texture in throws and wraps. It’s difficult to light dinner tapers outside, as Miami receives the ocean breezes and candles tend to blow out. I much prefer these jarred candles and the Homesick Candles give off a soft scent and stay lit. Candles are what my daughters prefer for gift giving and they are always hard to buy for. I think that these make for really thoughtful gifts for the holiday as well as beautiful pieces of holiday decor. Anyone who misses home would truly love such a caring gift. Do you have anyone missing home on your list? As a gift to my readers, Homesick Candles is offering you 15% OFF and free shipping on orders of $60 or more. If like me…you have kiddos in another city or state that are hard to buy for I’m pretty sure that they would love a candle. 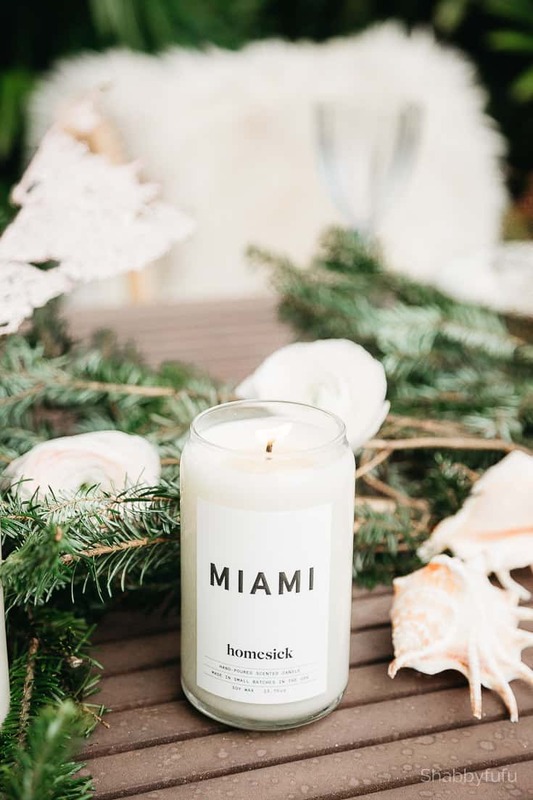 Just go here – HOMESICK CANDLES and enter the code SHABBYFUFU at checkout for your discount until December 5th. All opinions voiced here are my own and I thank Homesick Candles for reaching out to sponsor this post. Your tablescape is gorgeous as usual Janet. And thanks for all the tips including the pretty candle. I do love the shape of the glass and the simple design. They also sound like they smell wonderful and unique. Always a great idea for a gift and I need something new to try. Your Christmas table is SO pretty. Now I feel like my boring old Christmas placemats are not nearly enough LOL. Your table is beautiful! Scents definitely evoke good feelings for me and I would love the beach cottage scent. I really like that I can save 15%. I want it for myself but I can think of several names on my gift list that would also love these candles. That setup is so beautiful! You really thought of everything there. I need to go check out those candles. This is such a beautiful table! I love how it turned out. I’m big on candles too! These sound awesome. You made that table look absolutely gorgeous. I would love to have some of that talent just because I would love my house to look that pretty. Those candles would be perfect for our house. First of all I love the tablescape! Secondly, those candles are so fun! They actually have one for Columbus, Ohio and it sounds like it’s going to be a good one! I’m going to pick one up for one of my Secret Santa gifts! What a lovely table, Janet. Love those rustic strips of ticking fabric you use to tie the flatware together! The idea of candles with fragrances native to the area is so smart! Going to check out the site! Such a gorgeous table. Love the ticking and the greenery, so beautiful. Candles really do create a fabulous mood. I am so jealous not only do you have a great table setting it is outside. We are about 4 months away from anything outside so enjoy the weather where you are. What a beautiful table set up I like the candles as well. My house is my sanctuary when I am exhausted from work. So i always keep it clean and organize as possible. As usual, all you do is merry and bright. I’ve never heard of these candles. I will have to check them out. Janet, your outdoor tables are always the best. Growing up with snow, I often wonder what it would be like living in a place that would be warm at Christmastime. Seeing your photos makes me want to pack up and move, but I will stay here in Kansas and love (even with its subzero) my roots. Thanks for sharing. 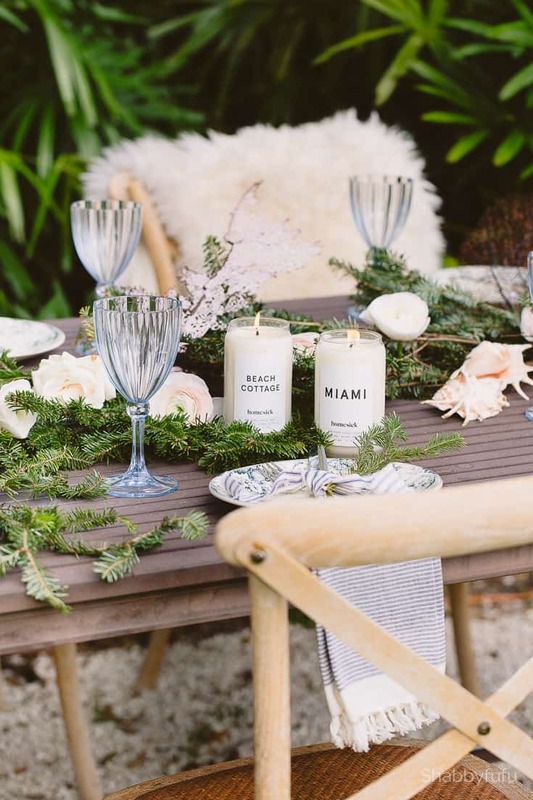 Of course a Miami Christmas table is going to look different because it is in a tropical weather zone (so you can have your table outside even during the winter season). It allows for a lighter touch and so many other possibilities than move far beyond the more traditional table settings. Your photos as always are lovely! Pinned. The candles are perfect for my daughter who is far away. Cute idea. I absolutely love your holiday table and overall style. It looks so elegant. I love decorating my home for the holidays as well. 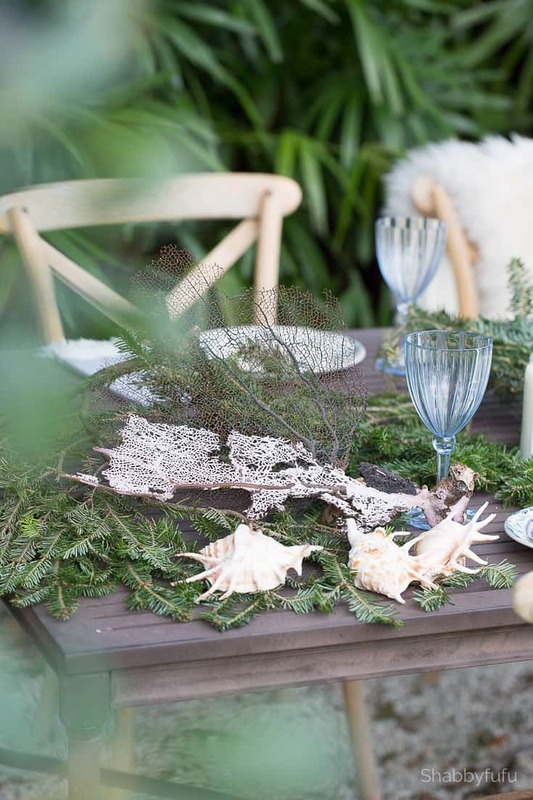 I love how clean and fresh your table looks esp with marine elements and natural colors. What really makes it elegant at the same time are those pretty goblets. Are they crystal antiques or are they the new modern dressy acrylic types ? Either way, I just love them, esp with the beach items. I’ve seen these homesick candles before. I think they are such a cute gift idea. Oh my! I know I would love the Beach Cottage one. I do miss the ocean when I leave. That candle might make it all better. 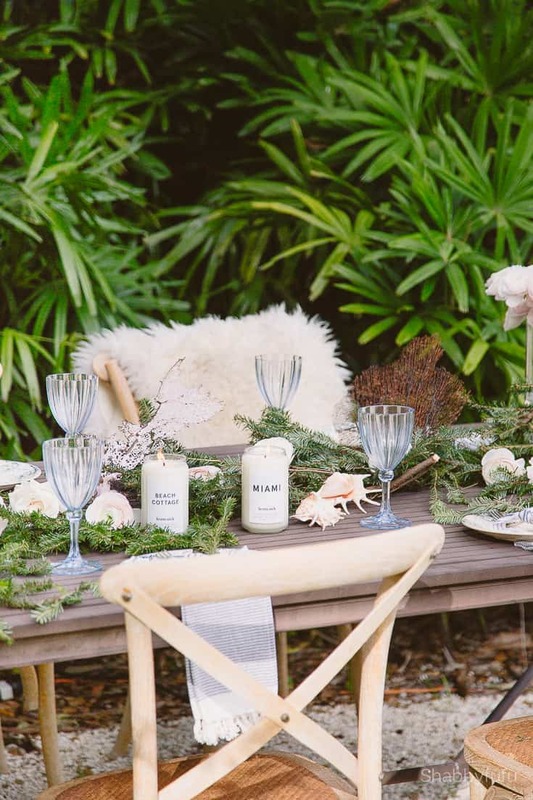 This tablescape is gorgeous! I got rid of my table when I moved into my apartment but I wish I had it to decorate! I love how you organized well your table it is all perfect. I want to decorate my home like this on Christmas! 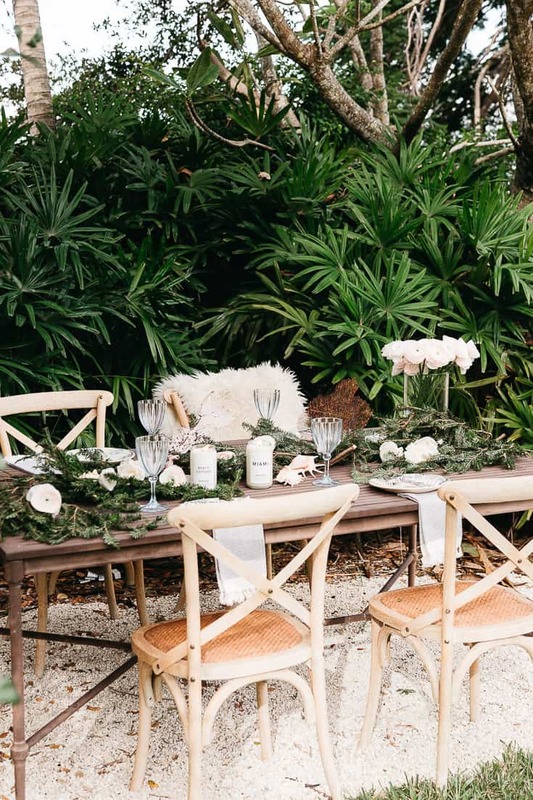 Your tablescape is stunning! I have to look into getting candles for my home, . They would go perfect with my decor. 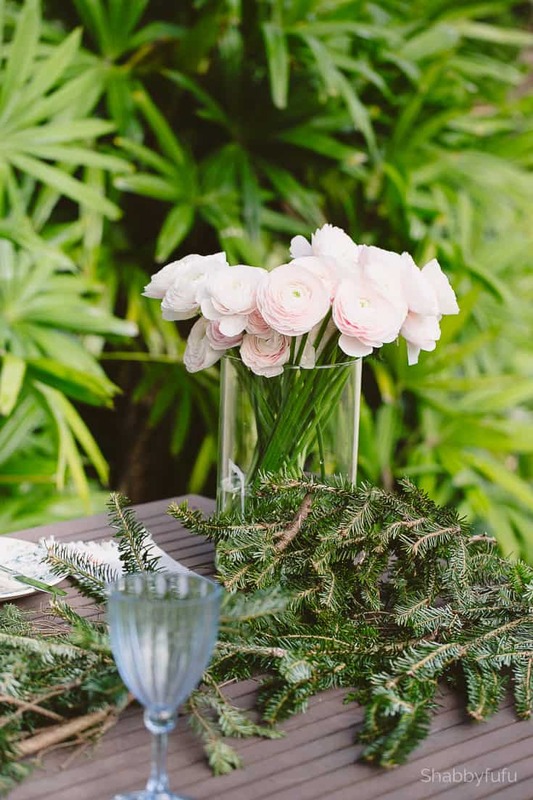 Love the idea of a table setting outdoors. It is so seamlessly integrated with nature. Jarred candles complete the setting and what more than the fragrance of the candles to give that aura that will linger for a long time. I love the sense of warmth and comfort that candles bring to a home. I will have to look into getting some by this brand! I love this time of the year. I love to decorate the entire house. It’s the only holiday that I do decorate. Wow talk about gorgeous. Who wouldn’t love this? Sadly with kids I’ll never have this gorgeous of a table! Love the clean look, and the candles seem unique and interesting! Your tablescapes are always so beautiful! 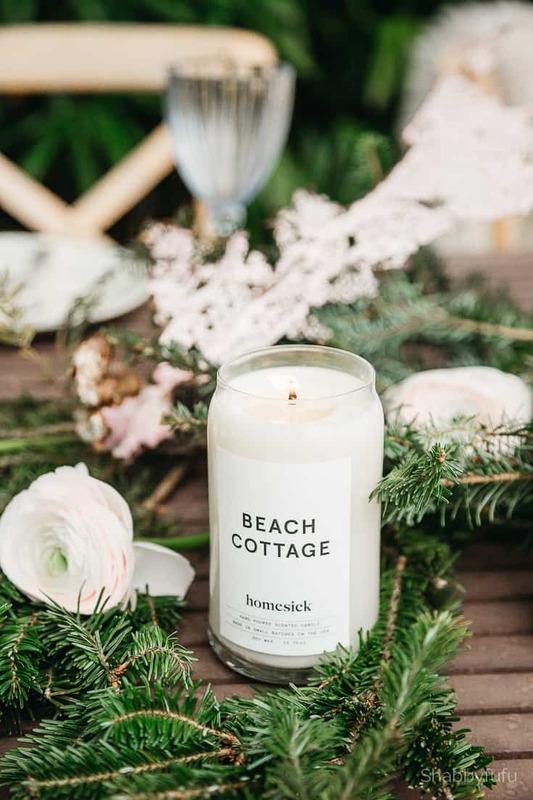 I have to get the Beach Cottage scented candle. My home would like this for Christmas : ).